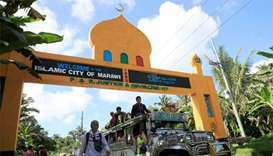 Murad Ebrahim has billed his Moro Islamic Liberation Front, which has made peace with the government, as a rival to IS for the hearts and minds of angry young Muslims in the south of the nation. 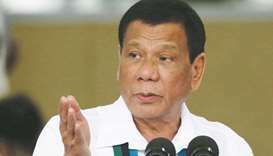 Philippine President Rodrigo Duterte asked Congress on Monday to extend martial law across the southern third of the country until the end of next year to combat Islamist militants and communists. 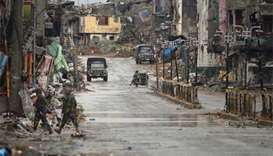 Thirteen rebels among the few dozen Islamic State loyalists holed up in the decimated heart of Marawi City were killed in the operation and Malaysian Mahmud Ahmad was likely among them. 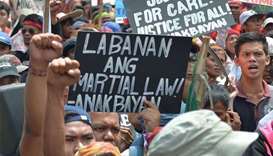 Defence Secretary Delfin Lorenzana emphasised he believed it was very unlikely martial law would be declared, but said the president was worried about threatened "massive" protests by the left. 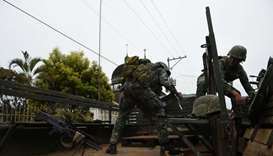 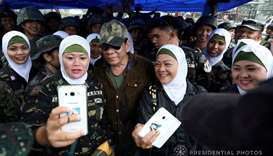 Ground forces were braced for higher casualties amid fierce fighting in Marawi City on the island of Mindanao, where the field of battle has shrank to a small area in a commercial heart infested with snipers. 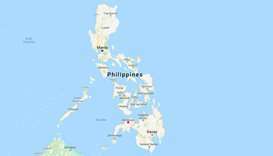 Philippine lawmakers on Saturday voted to retain martial law on the southern island of Mindanao until the end of the year, giving President Rodrigo Duterte more time to tackle armed extremists allied with the Islamic State group. 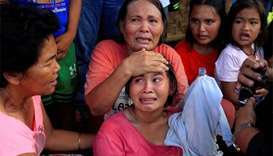 Muslim rebels who stormed a southern Philippine town and occupied a school are on the run after freeing dozens of hostages following a day-long crisis, the military said on Wednesday. 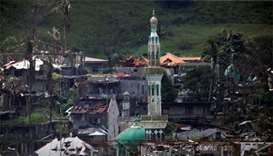 Indonesians and Malaysians were among foreign jihadists battling the military after laying siege to a southern Philippine city, the government said on Friday, in a rare admission of what it said was an Islamic State "invasion". 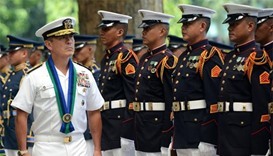 Filipino and US troops began training exercises this week, the Philippines military said on Wednesday, despite President Rodrigo Duterte's threats to end joint war games and kick American soldiers out of his country. 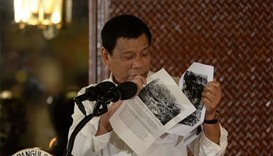 The United States said the Philippine government had not officially communicated President Rodrigo Duterte's demand to pull US military advisers out of the rebellion-torn southern Philippines.